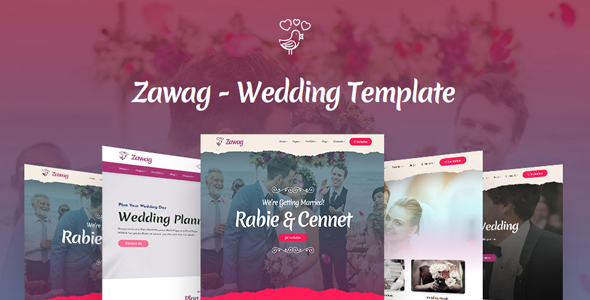 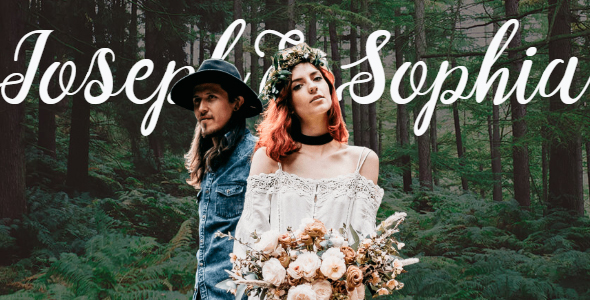 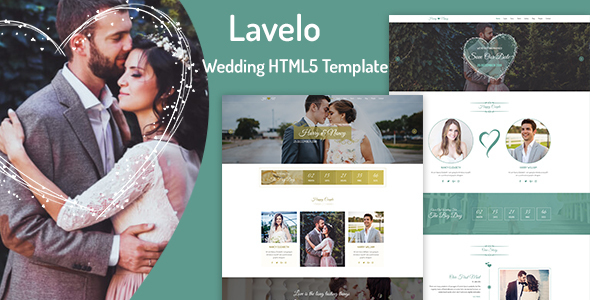 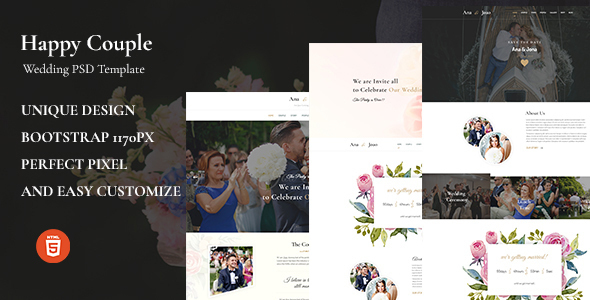 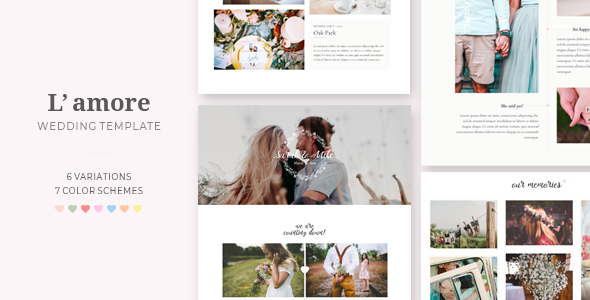 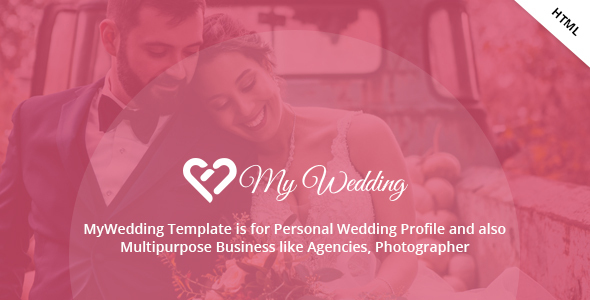 New modern, clean and responsive Wedding template. 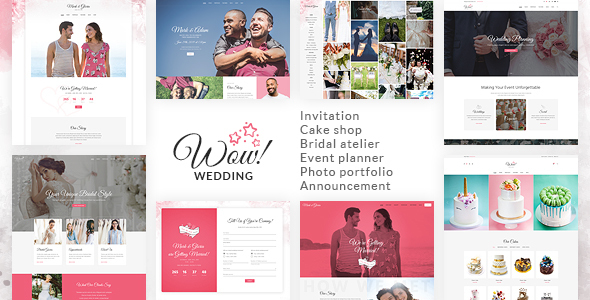 Features Valid HTML5 & CSS3 Clean & Modern Design Parallax Blog pages included Bootstrap 4 Responsive Animation Sticky scroll menu SASS is include Cross-Browser support Free update Great documentation and much more… All images using just for demo and not included. 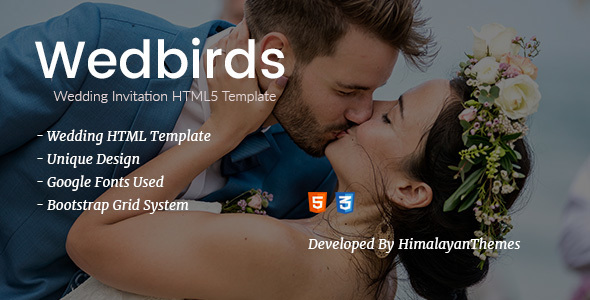 Instead of them we added placeholder images.